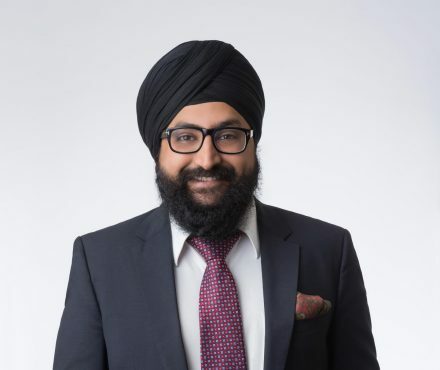 Sukhminder Virk is an associate with a mixed solicitor’s practice including Corporate and Commercial Law, Estate and Incapacity Planning and Administration, and Real Estate. After launching his own firm in 2012 in South Surrey, he brought his award-winning practice to LK Law in 2015. In his corporate practice, Sukhminder advises both for-profit and not-for-profit organizations. He has experience in business structures, professional corporations, corporate governance, complex corporate reorganizations and business mergers and acquisitions. Sukhminder’s trust and estate practice focuses on working with clients and their families to address all aspects of estate planning and ensuring a smooth succession, including complex tax, estate, and family issues. Sukhminder has acted in the BC Supreme Court in regard to estate matters, including issues of breach of trust, contesting wills, wills variation claims, and Committeeships. Sukhminder understands that corporate and personal planning requires a complete understanding of clients’ needs, including personal, family, and business issues. Using his knowledge of the law, he is focused on finding the most practical solution for his clients. Sukhminder is active in the community volunteering with various charities. He provides leadership as a Governor of the Justice Institute of British Columbia and serves as a member of its Governance Committee. Sukhminder earned his Bachelor of Arts in Political Science from Simon Fraser University in 2006. He then attended Kingston University in London, United Kingdom, where he earned a Bachelor of Law (Honours) in 2009. Fluent in English and Punjabi, Sukhminder can communicate with his clients in their chosen language. Sukhminder enjoys hiking, reading, movies, and spending time with family and friends. Blog — View Blog Posts by Sukhminder S.